If there is one thing we’ve learned in the six years since we founded The Coaches Site, it’s that the games top coaches LOVE practice. In fact, to an individual, it’s fair to say that they value preparing for and running practice as the most important part of their job. It’s where a team’s identity is created, habits are reinforced and player’s build trust amongst their group. Depending on what level you coach at, you may have a lot or very little time to prepare for practice. But regardless of what time and resources you have available, it’s important that you come to the rink with a plan and process for getting players on the same page as you. So beyond having a practice plan, communicating it with you staff and players, what else can you do as a coach to get your team prepared to have a great practice? 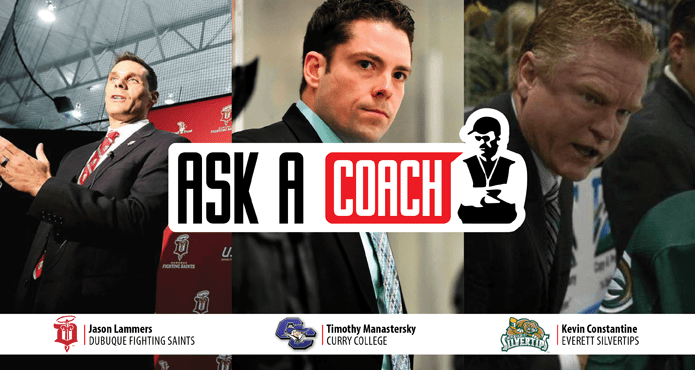 We reached out to three coaches; Jason Lammers (Head Coach, Dubuque Fighting Saints), Kevin Constantine (Head Coach, Everett Silvertips), and Timothy Manastersky (Head Coach, Curry College), from three different leagues to learn what approach they took, looking specifically for some tips that coaches of all levels could employ. We received some great feedback and ideas for getting your players engaged before they hit the ice. Their answers can be found below. 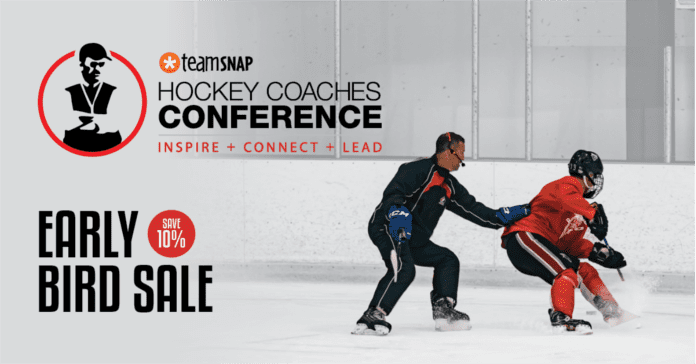 But first, check out this clip from current Kamloops Blazers Head Coach (formally of the Vancouver Giants) on the importance of preparing for practice from our 2012 Hockey Coaches Conference. *To watch the full video click HERE. – Post a quote of the day in the dressing room. – Touch on a positive action from the day before. – Present a video clip that captures the theme for the day. – Draw up and describe each drill for practice. – Have the players go through a dynamic warm up and stretch. We use the acronym #KGB on a daily basis. It stands for KEEP GETTING BETTER. It’s posted in our locker room and helps keep our players focused on the most important aspects of the day. Generally it’s 2-3 key points. Any more and the players focus gets spread thin. We follow the same philosophy when determining where our groups focus should be. Other things we consider on a daily basis:. – Use of video to reinforce key points. – Team meetings vs. individual or small group meetings. 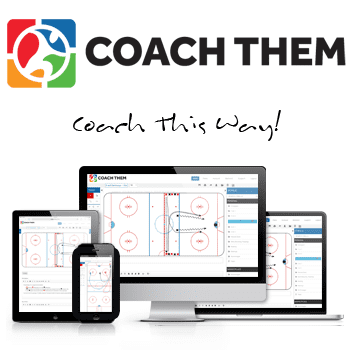 – Post the practice plan in advance or explain drills on the ice in practice. Sometimes we find players get complacent if they know what’s coming next, so we mix it up. – We practice in the morning (9am) so sometimes we’ll have team meetings in the morning before practice but other times we find it’s valuable to let the guys sleep an extra 20 minutes. – First drill is to warm up the goalies. – Second drill is for everybody else. Here is sample of our players daily schedule along with some additional guidelines we follow. 12:20 – 1:00PM – All players team meeting (generally a review of previous game/special teams/stats/keys for practice/next game) We heavily utilize video, this part of our day is mentally intensive and changes in regards to duration. 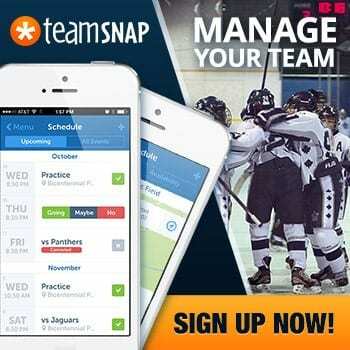 If you have some have some additional tips for how to prepare your team for practice we would love to hear from you. Hope this was useful. Stay tuned for more professional tips from Ask A Coach!